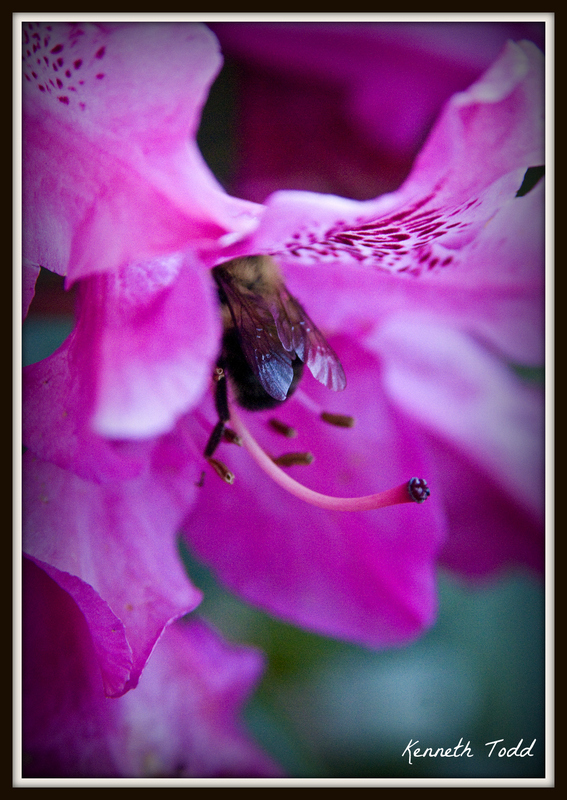 Captured this Bumblebee searching for pollen. He was pretty tough to catch and freeze the motion and was constantly moving. This one works though. I’m a bumblebee addict and stalk them frequently 🙂 I love how you captured him disappearing into the flower. Your photo made me smile, thanks! Glad you like it and thanks for comments. What a beautiful image. He was sure industrious! This close-shot is beautiful on so many levels: the vibrant colors, the tiny peek into this bee’s journey. Well done! Thank you, it was pretty tricky catching that little fella. Patience has an amazing outcome.